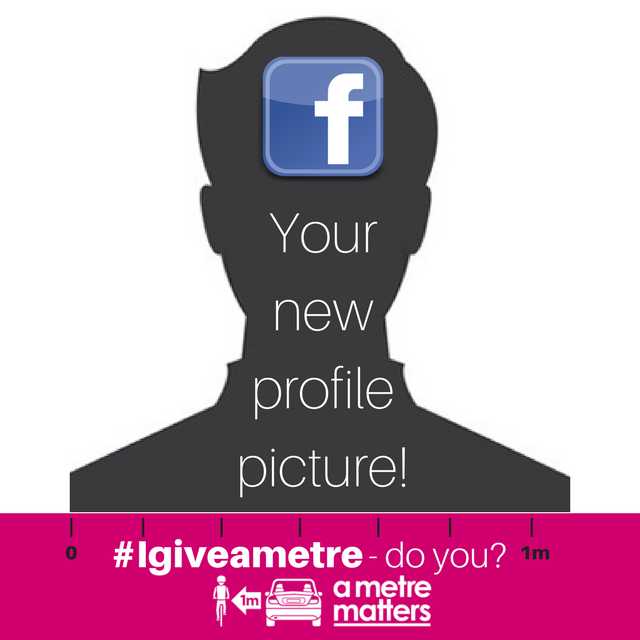 #Igiveametre is the next stage of our a metre matters campaign involving road users making a personal pledge or commitment to pass cyclists safely with at least one (1) metre passing distance. Launched in 2009, our a metre matters campaign focuses on securing legislative change around the country to mandate minimum passing distance of one (1) metre in speed zones up to 60km/h and 1.5m in zones over 60km/h. 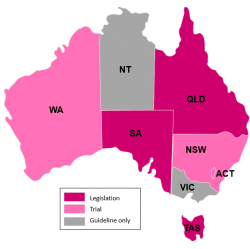 With every state in Australia except Victoria having a metre matters laws permanently or on trial, now is the ideal time to reinforce the vital importance of these safe passing distances. 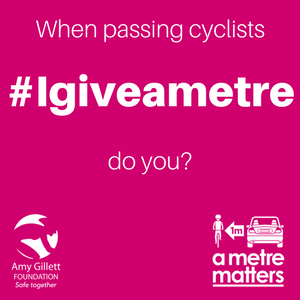 Consistent with our position that legislation, enforcement and education is required to achieve behaviour change, #Igiveametre is a practical reminder to reinforce how much a metre actually is. Giving a minimum of a metre clearance when passing cyclists is easy! Cyclists, or people on bikes, are very often drivers as well when they’re not on their bikes, so they know how much of a difference passing them safely means. 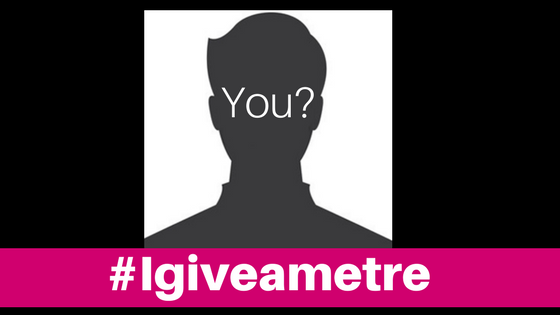 Our #Igiveametre campaign is designed to help raise awareness amongst all road users, regardless of our chosen mode of transport – we are all people and we all deserve to get home safely. Post your video on your own social channels tagging in @Amy Gillett Foundation (no hastags please😉) so we can like and share your great message. #Igiveametre was at La Trobe Universityr Bendigo O-Week in February, with great support! #Igiveametre was launched at the 2018 Cycling Australia National Road Championships Jan 3-7, 2018 and applies all around Australia with or without legislation. WATCH our #Igiveametre videos here.